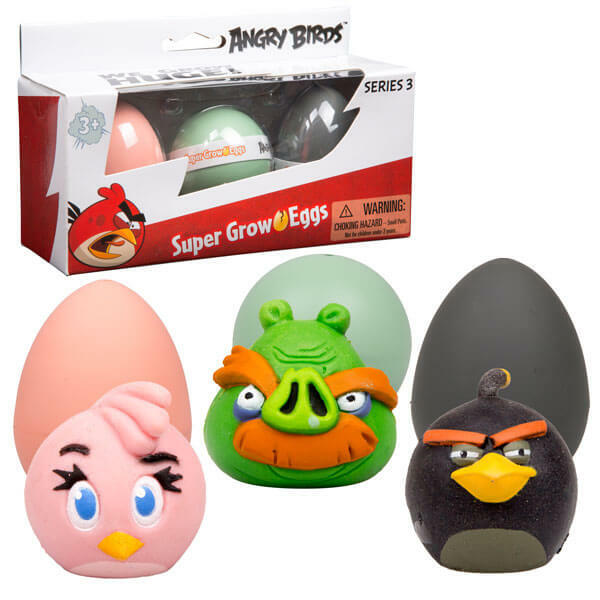 Grow and play with the famous Angry Birds characters off the screen with Angry Birds Super Grow Eggs! Launching just in time for the movie release, the 5 series of Angry Birds Super Grow Eggs include fan-favorite characters Chuck, Minion Pig, Stella, Bomb, Leonard, Red, Moustache Pig, Terence, Matilda and The Blues. Offered in 3 classic game series (including 2D characters with no legs), and 2 movie series (including 3D characters with detailed features and legs), these interactive eggs are sure to please fans of the popular game as well as the anticipated movie.